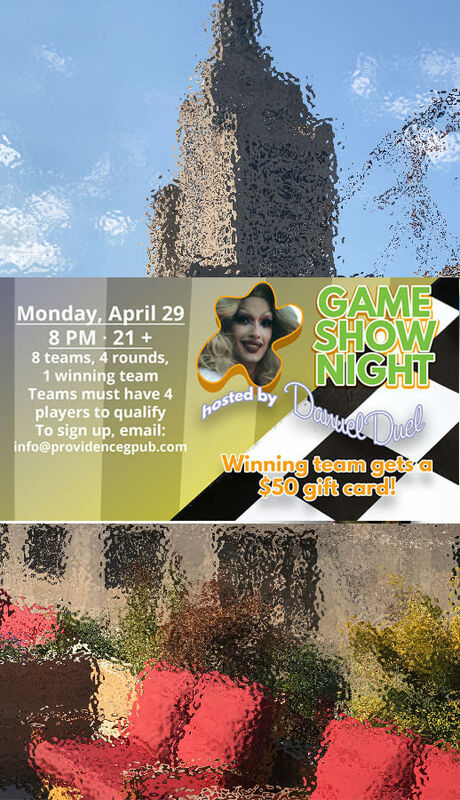 On Monday, April 29th, GPub is proud to host the first Game Show Night! Join host Danuel Duel at 8 PM for a night of fun and the chance to win a $50 gift card! 8 teams will compete in 4 rounds of games until one team comes out victorious! Do you have what it takes to win in this fast-paced and hilariously fun competition? 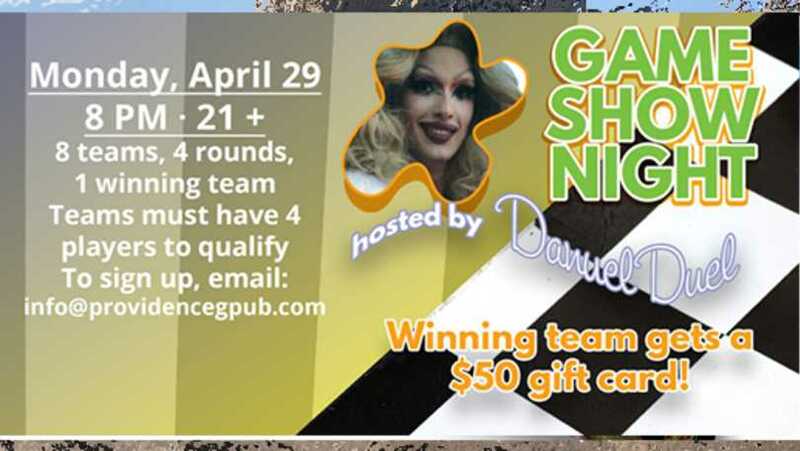 Teams must have four players to qualify; to join, please email info@providencegpub.com!